Is divorce permitted in Hinduism? The Naradasmriti dharmashastra (XII 97), a Hindu law book, states: "When her husband is lost, or dead, becomes an ascetic, is impotent, or is expelled from caste, in these five conditions, a woman may remarry." Katyayana adds that if the husband turns out to be of another caste, or the same gotra, or if he is guilty of foul acts, the wife may remarry. Can we take these verses to suggest that divorce was allowed in Hinduism at some point of time? In many cultures, marriage is a contract. Divorce is the breaking of the contract. Some, like the Catholic Church, believe that the contract of marriage is sacred and hence, must never be broken. Others disagree. In Hinduism, marriage is not a contract. It's a samskara, or rite of passage. Samskara is that which gives shape (akara) to your world (samsara). It helps you live a full life. The rituals include everything from shaving your head when you are a child, to feeding you solid food, to educating you, to repaying your debts to your ancestors and to society at large by getting you married and encouraging you to bear a child to enable those in the land of the dead to return to the land of the living, and by getting you to perform funeral rites that enable the dead to move from the world of the living to the land of the ancestors. Many Brahmins codified these rituals and rules over a thousand years in the Dharmashastras, from 200 BCE to 1200 CE. These rules were primarily meant for "upper" castes, and not for all. The general trend has been to forbid divorce, and to allow only men to remarry. Neither men nor women could divorce. And women could not remarry even after widowhood. In the story of Ahalya, Gautama curses that his wife turn into stone. We must keep in mind that Hinduism is an umbrella term and cannot be restricted only to "upper" castes. In the epic of Nala and Damayanti, when Nala goes missing, Damayanti’s father organises a swayamvara so that she can find a new husband. Is that because Nala is described as Nishadha, or of tribal origin? We must keep in mind that rules of marriage in Hinduism have changed over the centuries. In the Mahabharata, for example, Kunti informs Pandu of a time before marriage, when men and women freely chose one another. 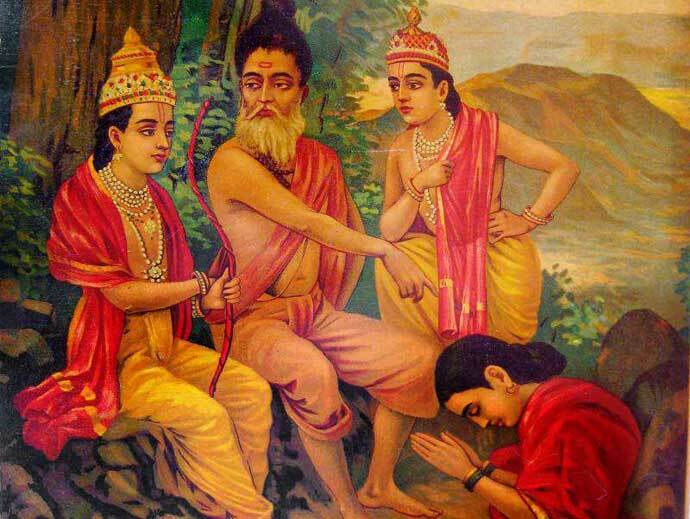 The sage Shvetaketu enforced the rules of marriage so that children could identify who their father was. He also allowed women who had impotent partners to bear children by other men, a practice known as niyoga. This is why even though Pandu’s biological father is Vyasa, he is identified as the son of Vichitravirya. In the story of Oghavati, the husband finds his wife in the arms of another man, and does not get upset, unlike the story of Ahalya, where Gautama curses that his wife turn into stone. Thus these stories reveal shifting values over time. Bhagavata Purana tells us how Kardama marries Devahuti but abandons her after she bears him a son, Kapila. He is obliged to father a child so as to repay his debt to his ancestors. But he does not want to be a husband. He would rather be an ascetic. Same is the story of Jaratkaru who abandons his wife after the birth of their son. Then we hear stories of apsaras who agree to marry but leave their husbands who try to control them. Thus, Urvashi leaves Pururava and Ganga leaves Shantanu. Can we call this divorce? In Shiva temples, Shakti embraces Shiva firmly despite a tempestuous marriage. While we are repeatedly told of demure Hindu housewives submitting to their husbands as per Manusmriti, a trope repeated by pro-religion and anti-religion lobbies, few point to the stories in the Puranas where Goddesses get angry with their husbands and leave their homes, until their husbands appease them and beg them to come back. Lakshmi leaves Vaikuntha and Vishnu has to work hard to bring her back. Gauri leaves Kailasa and Shiva has to work hard to bring her back. These stories speak of the power and agency of female characters often denied to modern Hindu women, as everyone is cherry-picking stories that fit the self-serving patriarchal framework. Divorce, however, is not seen between the God and his consort. In Vishnu temples, Lakshmi shrines are always separate from Vishnu’s. In Dwarka, Rukmini stands separate from Krishna. In Pandharpur, Satyabhama stands in a shrine separate from Krishna. Thus she asserts her autonomy while they are still connected. This is one reason why many Hindu couples perhaps prefer separation rather than legal divorce. The Hindu marriage rite – sapta padi — where the couple takes seven steps to share seven worldly gifts is seen as an indissoluble bond. When things do not work out, one physically separates, but is bound in spirit. It must be kept in mind that "consent" does not play a role in Hindu marriage. Neither the man nor the woman is asked if he/she wants to marry, even though in the Puranas we hear of love marriage (gandharva vivah) and swayamvara (self-choice ceremony). These are seen as "inferior" practices of primitive tribes and not suitable for "upper" castes. Since marriage is not based on consent, the idea of divorce also makes no sense. But these notions of a bond over several lifetimes are poetic and theoretical. Hinduism has adapted to suit various requirements over history and geography and across communities. 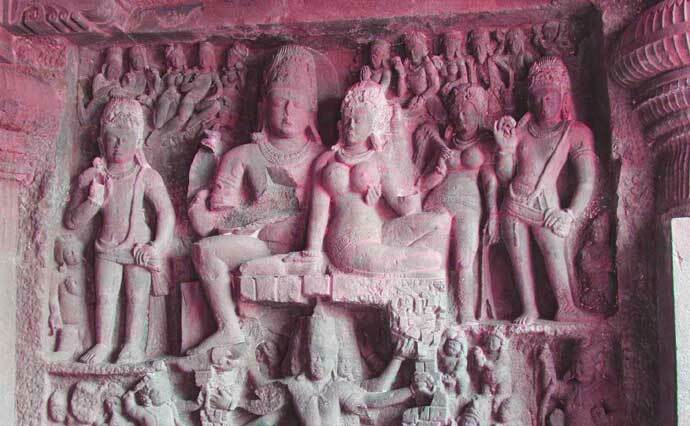 Atharva Veda describes the marriage of a woman called Surya to two gods, the Ashvins. Puranas inform us of Marisha who marries ten Pracheta brothers. In the parakiya bhakti tradition, Radha is described as another man’s wife. In Vaishnava temples, Lakshmi stands independent of the shape-shifting Vishnu, while in Shiva temples, Shakti embraces Shiva firmly despite a tempestuous marriage. In Chidambaram, Shiva dominates his wife but in Madurai, the Goddess dominates Shiva. All this reveals dynamism and diversity in matters of marriage. And so in the 21st century, Hinduism is equipped to accommodate notions of separation and divorce. The emotional and material upheaval that follows is another matter altogether. Also read: Are Hindus vegetarian?